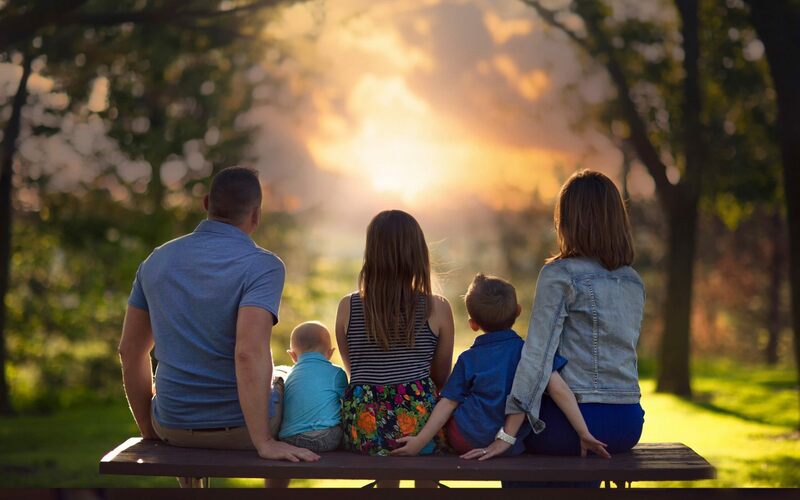 The Eastman Law Firm is a focused estate planning law firm in the greater Overland Park, Kansas area. Call us today at (913) 908-9113. We provide counsel on Wills, Trusts and Probate law. The Firm serves as counselors, strategists, and advocates and delivers legal services that are responsive, meticulous and cost-effective. We provide world-class legal service so that you can focus on your life. It is this peace of mind that keeps our clients coming back year after year. The Firm pride itself on being accessible and responsive to our clients’ estate planning needs. We know that many law firms believe in not returning calls for a long period of time. We are not that way. We believe in personal service for your probate estate, revocable trust or will. So, we don’t wait weeks to get you some answers to a basic will or trust question. Instead, we actually respond in a timely manner. Our philosophy is simple: make YOUR experience the best one possible. Many practitioners view a will or trust as a single one-time experience. We don’t believe in that at all. We believe that, as a member of the bar, we have a duty to our clients to provide ongoing counsel for their trusts and estates. We have numerous contacts locally, regionally, and even nationally with lawyers and other professionals. We are a member of the bar and a KS estate planning attorney member. Our law firm believes that our clients should be given access to the best legal advice at a reasonable price and not just any “one stop shop.” Many times, the large firms are only great in a few areas, but charge large rates in all areas. We are happy to provide expertise to our clients in choosing counsel that fits your needs. We offer several compensation arrangements, including a standard hourly rate, a fixed monthly retainer (for a fixed investment of time) or a flat project fee. We believe in having the right fee structure and work with you on that. We could provide a trusts and estate plan and then move on, but we instead want to provide a great experience with ongoing benefits for you – so we structure our fees so that you can better meet your estate planning goals. Pure and simple, our rates are typically less than the rates of junior associates at larger law firms. We achieve this through low overhead and maximum delivery. Our clients receive expert attention on every transaction; quite simply, we are the best at what we do. The Firm’s experience includes having served as counsel at some of the largest law firms in the Midwest as well as general counsel to publicly traded corporations in addition to multiple years counseling small and medium-sized businesses and business owners. We believe in lowering our client’s overall legal costs. Lowering costs by a percent or two can dramatically change how you can implement an estate plan. You can then allocate those resources to other areas of your life where they are needed. What to Look For in a Overland Park Estate Planning Attorney? What is a Revocable Trust in Overland Park, KS? What is the difference between a Revocable Trust and a Will? What other documents are typical in an Estate Plan in Overland Park, Kansas? Isn't it too Expensive to Invest in an Estate Plan? Do I need an Estate Plan if I don't own very Much in Overland Park? Do I need to plan if I'm not that old? Estate Planning is confusing and I don't know what to do. The most important thing is simple: competency. You don’t just want to pick out any old attorney (and don’t get us wrong – every attorney we know believes that they can draft a will or trust; most can, but most don’t know all the ins and outs). So, the competency piece is actually hard to find. Locally (Overland Park, etc), there are several good attorneys that focus on estate planning law (besides us, of course). Take your time and find a good estate planning attorney here in OP, KS (call us at (913)908-9113). Second, find someone that you can communicate with easily. Remember, you are trying to find someone that creates a full estate plan, which can include many other things than just a will or trust. There are asset protection issues (asset protection planning can be an art in and of itself). You need to be able to easily discuss your needs and your lawyer needs to be able to effectively communicate what certain things are, like a advance health care directives (and why you need one), or a living will, or financial power of attorney. Finally, find someone that meets your budget. Nothing is more frustrating than going in with a set of ideas and realizing after an hour of discussion that it will take you multiple thousands of dollars to create a revocable trust and then even more money to fund it. Get a good idea of this up front. A Revocable Trust is a document that allows you to transfer assets upon your death without the need of probate. Probate can be expensive and time-consuming. The document can also help you during your lifetime by appointing someone to look over you if you become incapacitated. Quite frankly, not as much as you’d think. Wills are generally more basic than a trust, but they can actually be just as complex (the most complex estate that I ever dealt with was actually a will and not a revocable trust – crazy, huh?). A will simply provides who gets your assets upon your death and also states who gets to take care of your children, etc. The biggest difference between a will and trust is that a will must be probated to be effective while a living trust does not have to go through the probate process. In our “standard” estate planning documents, we provide a Trust and Pour-over will for each spouse (or just a Will for those that don’t want a Living Trust). We also draft up financial Powers of Attorney and Health Care Powers of Attorney. We also draft advance health care directives, like living wills. However, as a course of practice, we do NOT draft up a DNR – Do Not Resuscitate – document unless the specific circumstances demand it. Well, it can be. Some clients need very sophisticated estate plans. These types of plans can be multiple thousands of dollars and take a lot of time and effort to implement. Some of the issues include complicated Charitable Trusts and other sophisticated estate planning techniques. But it doesn’t have to be expensive in Kansas City. Many clients just need the basics: a Will, Financial Power of Attorney and a Healthcare Power of Attorney. Those plans aren’t that expensive. Well, that depends on what you need to plan for. If you own very little, then you probably don’t need a sophisticated tax plan to divide up assets, plan for charity, etc. However, if you want to designate who takes care of your children were you to die or have a serious medical emergency that would leave you incapacitated, then yes, you need to plan. That’s a ton better than having the state of Missouri or Kansas decide who gets to be in charge. I like to tell people that it’s not your age that matters, but instead what your goals are. More importantly, your plan should be based on your life goals and not some arbitrary standard. So, if you are young and healthy and don’t have a ton of assets, then it’s likely that you don’t need an expensive estate plan – you just need the basics. Yes, this estate planning stuff can be confusing. Look, I went to law school, and have practiced this for years (I even ran the probate department for a large law firm), and I am constantly learning new techniques. The best idea is not to get overwhelmed with the complexity. Instead, stay focused on YOUR life goals. Let your attorney handle the details. Please go to our Estate Planning, Wills, Trusts and Probate Pages to learn more. The Eastman Law Firm is a group of lawyers in the Overland Park metro area, that focus solely on your estate plan. Please call us today at (913)908-9113 or (816)224-3133. Overland Park is part of the greater Kansas City area and is home to many great businesses, schools and restaurants. An good estate planning attorney is the type of lawyer that, after years of going through law school and being mentored under several other good attorneys, understands the proper way to counsel clients on the ins and outs with regard to a plan. However, any attorney can make a plan. But a good attorney is one that knows how to listen to your needs and then craft a plan that works within those boundaries – one that is flexible enough to meet your needs both now and in the future. Estate planning is about more than just paperwork. Instead, it’s about the ability to put together different documents for you and your family. A good plan is one that meets your needs today, but one that is also flexible enough to meet your future needs. It takes into consideration your health and welfare, as well as the potential issues that can affect your legacy. A living trust, also known as a revocable trust or loving trust, is a document that you can use to avoid probate. The avoidance of probate can be a significant savings, plus it also keeps your assets out of the court of record after your death. The trust will become the legal owner of your assets. That is, you will need to title your home, plus cars, etc. into the revocable trust. A will is a legal document that states who gets your assets when you die, as well as state who gets to take care of your minor children after your death. A will in Kansas requires witnessed, and it is good practice to also get it notarized. A will, however, is not valid until it is probated by the court. Want to probate a will? The probate process is the process of passing your assets to your heirs. There are two main types of probate – testate and intestate. A testate estate is one where there is a will. The will is presented to the court and the judge will make a ruling as to who gets what. In an intestate estate, the court does not review the will. Instead, the judge uses the laws of the state of Kansas to determine who gets your stuff. In general, one-half goes to your spouse and the rest to your children. A tax attorney is one that has spent time studying the tax laws and applying it to different transactions. The recent changes in the tax laws add some complexity to the situation and the next several years will be spent trying to work through all of the issues while building flexibility into our clients plans. This page is a description of probate procedures to move property, including real property (i.e., your home) when a person passes away. “Probate” is a court-supervised process of moving legal title from a person who has actually died (the “decedent”) to the person’s heirs. Probate is essential to protect the personal assets in order to pass them to the decedent’s beneficiaries, devisees, and even their creditors. An organized transition of the assets is done after taxes, debts and other procedural processes are conducted. Is it Really Necessary to Go Through the Probate Process in Kansas? Just how Does the Probate Process Work in Overland Park, KS? The property of the deceased is held and managed by the administrator (i.e., their personal agent) throughout the management of the estate. The personal agent makes distribution of the estate when the court of probate accepts the purchases made and expenses paid and the recommended distribution timetable. Missouri has several guidelines relating to timelines on exactly how quickly an estate may be closed and circulation made to the successors or recipients. Nonetheless, it typically takes a year or even more to complete the management. Employ a legal representative to represent you. Hey, get an attorney already! Make an application for Letters Testamentary if there is a will admitted (or secure Letters of Representation without a will). Post notification to the creditors of the deceased. The first date that the newspaper has the publication in its starts the time period for creditors to submit their cases to the court and the personal rep.
Find and appraise the assets of the deceased. Conduct the estate and sell any property if funds are required to pay costs. Pay debts, taxes, creditor claims, and expenses. Prepare a list showing earnings and disbursements. Get court approval for distribution and close estate. Creditors’ Rights and the Inventory of Debts The probate court functions as an central, organized place where creditors can perfect their claims and look for payment. Additionally, the personal agent can collect repayment of any financial obligations that others had been obligated to repay to the decedent, in addition to seek the recovery of funds owed to the deceased by others. These claims by creditors and certain allocations to family members (probate laws allow certain persons, such as a spouse, to get property first – such as the home) will be paid by the personal representative before the heirs can get their distributions. If there are not ample assets to pay all claims and allowances, they are paid in proportion by specific concern classifications (for instance, the funeral costs must be paid previously to general claims). We also have good referrals, such as https://kcbusinesslawgroup.com and others. Probate Expenses in Overland Park Probate estates, as a matter of course, includes the repayment of certain expenses. The costs in the typical estate fall under four major categories. Bond Premiums: The probate estate could need to pay for a bond for the individual representative to ensure the proper handling of the estate. All distributees of the estate or the decedent in the will may waive the need of a bond if allowed by the court. Publication costs: A notice to creditors should be posted announcing that the estate has been opened. A notice is provided to the public of the intent to File a Last Settlement or Statement of Account. This should be published just before the estate can be shut unless it is waived by the heirs. Court Costs: Every estate has to pay the court fees. Individual Agent’s Compensation and Lawyer’s Charges: our legal representatives will certainly aid you determine the appropriate fees for your estate. Real Estate Titles in Kansas The administration of a decedent’s probate estate serves to develop clear title to any kind of property which the deceased might have possessed at death. Real estate passes directly to one’s inheritors if a will is admitted to probate. The individual rep will need to obtain a court order to take possession of, or sell, the real estate unless the will offers the individual rep that authority. It is not possible to pass the title to real estate unless the property goes through the probate process (or unless other probate-avoidance techniques, such as a Trust, are used). In Kansas, probate usually is opened and carried out and a will certainly could be filed within one year after the decedent’s death. In a similar way, lenders have been known to open an estate so that they could force the sale of a piece of property within a year of the date of death. Nevertheless, if an estate is probated, the time period where the title to the real estate can be so affected is decreased to about 6 months after the very first publication in a paper of good circulation. What about the Spouse (assuming no will, of course)? In Kansas, the partner of a decedent is qualified to certain rights, which include rights in the primary home. The surviving spouse can choose these rights in lieu of what they would receive in a will (or trust, unless they have actually consented to the terms therein). The spouse has certain rights (known as exemptions) to the house, personal property, one car and other property to help them with the day-to-day living. What about the Spouse (assuming there is a will)? If the decedent leaves a will where it gives the partner less than the spousal share, the partner may, within a restricted time, choose to “take versus the will.” The partner could then get the statutory share rather than exactly what was supplied in the will. The court of probate is needed to alert the enduring partner of this right of election quickly after the will is probated. A surviving spouse can not be simply disinherited unless they have done something specific to release their rights. These rights can be released via a contract (including a specific waiver in a will or a trust), including a divorce decree. Another way is through a prenuptial agreement (not including retirement assets, which must be waived after marriage). This election for a spousal circulation goes through the claims of lenders and estate expenses, and is in addition to the survivor’s legal allowances and excluded home. Other home gotten by the survivor away from probate from decedent (such as life insurance, joint home and depend on properties) offers to counter against the spousal share. “Left out” partners, or those which were married after the deceased’s will was performed, may assert an intestate share of the estate. In specific instances, similar provisions are also included for any sort of kids who could have been born after the will was carried out. Streamlined Probate Alternatives in KS There is a procedure under Kansas estate regulation that permits a decedent’s estate to be conducted rapidly. Nevertheless, no real property can already existing under this treatment. Is A Lawyer Necessary in Probate in Overland Park? Yes, you better believe it (what did you think us to say?). A legal representative is needed to stand for the individual agent in both monitored and independent managements in Kansas. A legal representative could assure that all due dates are fulfilled and avoid errors and hold-ups. A legal representative can in some cases aid the process to family members to stop arguments among them over different issues. Some folks could submit tiny estate sworn statements and letters of rejection for partners, small children, or lenders without lawyers. Yet utilizing a legal representative can avoid pricey errors, specifically if property is entailed. One last piece of advice. Our highest fees have come from helping people “clean up” estates that they tried to settle without an attorneys help. Lisha Review of The Eastman Law Firm – by Lisa Rowan,March 16, 2018 5/5 starsMr. Eastman really took the time to listen to us. He didn’t try and sell us on the most expensive option, but instead worked with us to determine what was right for our family. I really believe that he cares about his clients and I truly appreciate all of his time.